The Group One Levin Classic is one of NZ’s premier races for three year old thoroughbreds over 1600m. The 2011 Classic was run on Friday 25th November on a Good 3 track and time of 1.35.97. Winner was Distill (Voksraad (GB) 1988 – Fairy Tipsy (NZ) 1996) trained by Roydon Bergerson and ridden by Robert Hannam. The 2010 Classic was run on Friday 26th November and was taken out by the imposing filly – WE CAN SAY IT NOW – a daughter of Star Craft this impressive filly went on to win the Group 1 Captain Cook Stakes at Trentham at her next start. Trained by Bjorn and Murray Baker from Cambridge and ridden by Leith Innes the filly was simply too strong for runners up Blinding and Lady Kipling. 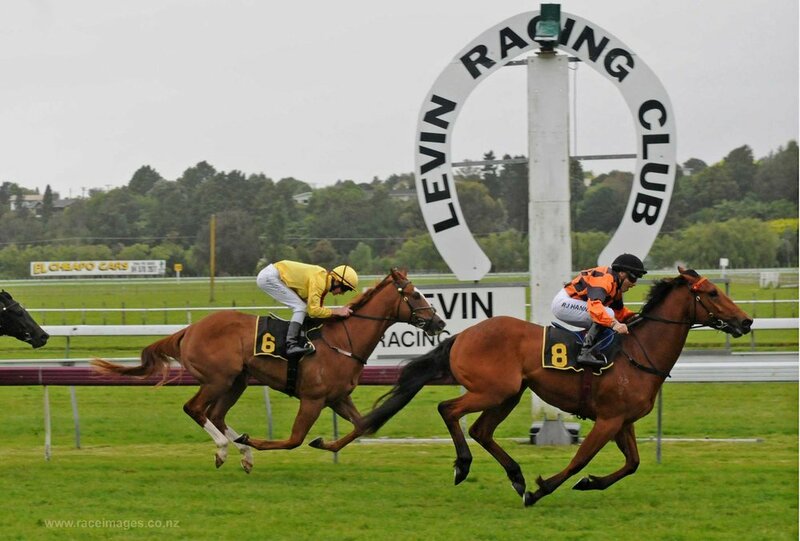 The 2009 Levin Classic was run on Friday, 27 November at Otaki Racecourse with Eileen Dubh scoring a first ever Group winner for trainer Francis Finnegan. Altered Image ran a race record in snaring the 2008 Levin Classic .Keepa Cruisin lived up to the family tradition of Group One success and took the honours in b First Sovereign Trust Levin Classic. Porotene Gem took the honours in 2006 with a great run timed perfectly by jockey David Walker. The 2005 Levin Classic was another dramatic race with Wahid winning by a nose. There have been many great winners of the classic but perhaps the greatest of them all was the 1983 winner, Bonechrusher.